Introducing the SEIKO label printer SLP 650SE: printing results directly from CUBE and CUBE-S instruments has never been easier and more convenient! 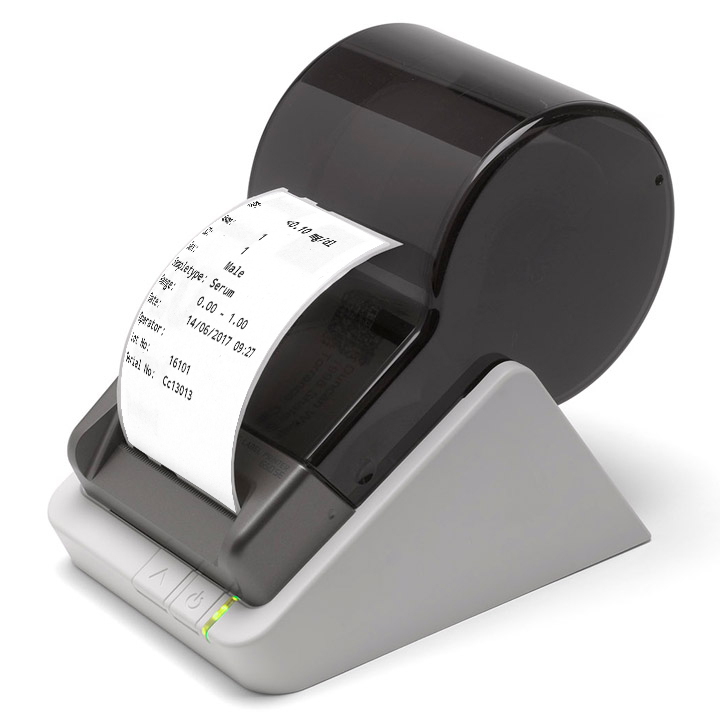 No need for ink, toner or colour-bands: this rapid thermal printer delivers laser printer quality on label- or tag-paper. The typical use case for this device for doctors and nurses is to quickly print a test result on a label – which can be peeled off and put in a patients’ file, added to a lab journal, or sticked to a sample; just as needed. The SEIKO SLP 650SE is compatible with CUBE and CUBE-S devices with the Tablet PC app updated to version 3.6. Please note: will NOT work with smart instruments!